Aside from beauty, fashion and my dog, one of my big loves in life is music. I have a really eclectic music taste - everything from your typical Lady Gaga-pop to Sheryl Crow country, emo Brand New, chilled Ed Sheeran or ska No Doubt. I always think if I hadn't been good at writing, then music would have been my thing. If only I could actually read music... those clarinet lessons never paid off unfortunately! Whether it's listening to upbeat dance tracks in the gym, having a cry to a sad song when I'm feeling low or having a dance around the kitchen when I'm baking, I can't go a day without listening (and singing) to music. 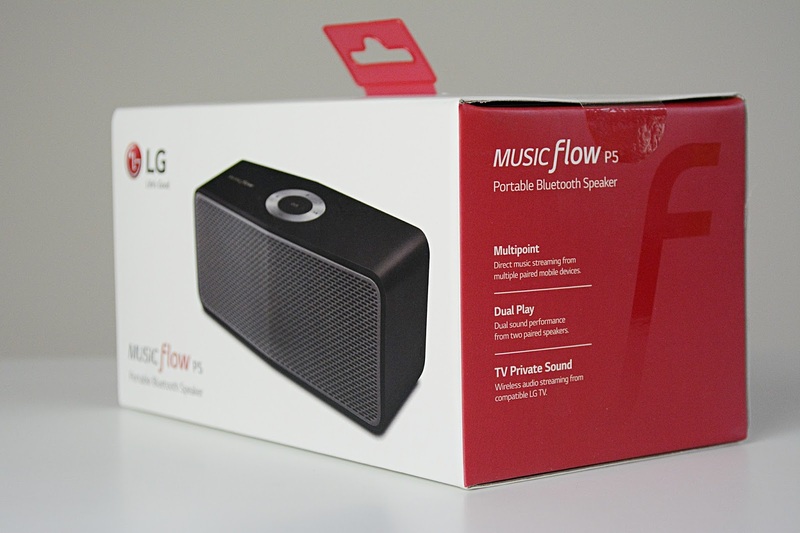 Therefore, it kind of goes without saying that when LG contacted me about reviewing their MusicFLOW P5 Bluetooth Speaker*, I jumped at the chance. We don't actually have a radio or CD player in our new house, so when it comes to listening to our favourite songs we usually resort to using the TV or, when I'm in the kitchen, making a make-shift speaker out of my phone and a bowl (never very effective, but better than nothing). Therefore, I was really looking forward to testing the speaker out. 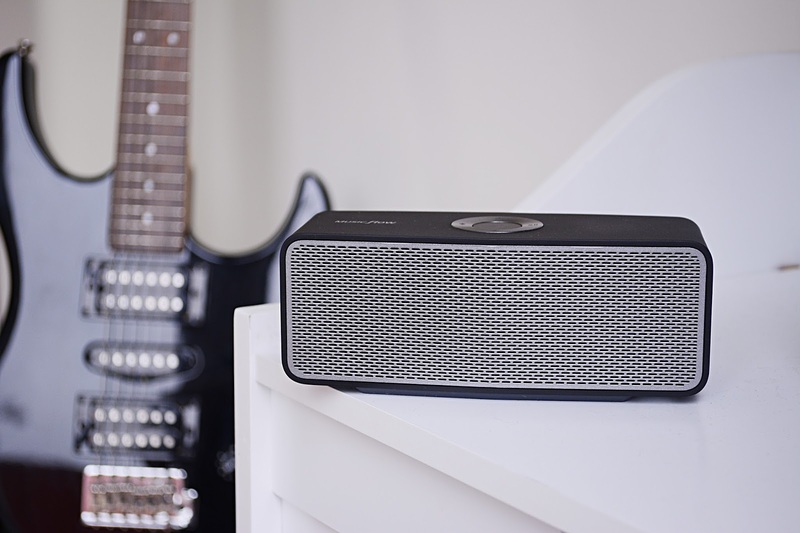 I've had little portable speakers in the past but unfortunately they've never really been very good, so I was keen to see how this speaker would fair. I wasn't disappointed. 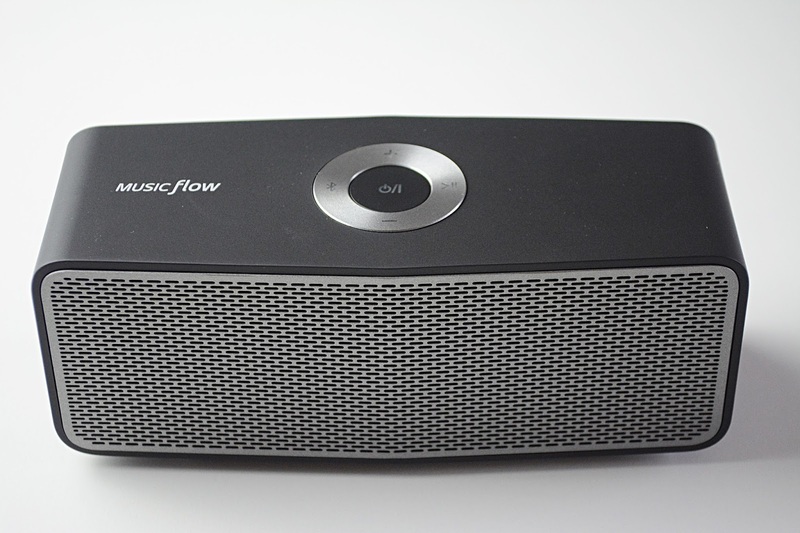 Quick and easy to set up, this speaker charges up with a USB cable which is supplied, but you do need a USB adapter (or, in my case, the plug bit from my iPhone) to plug it in. Once charged it can be placed anywhere and thanks to how diddy it is (I hate nothing more than big ugly speakers) it doesn't compromise the decor in my living room. 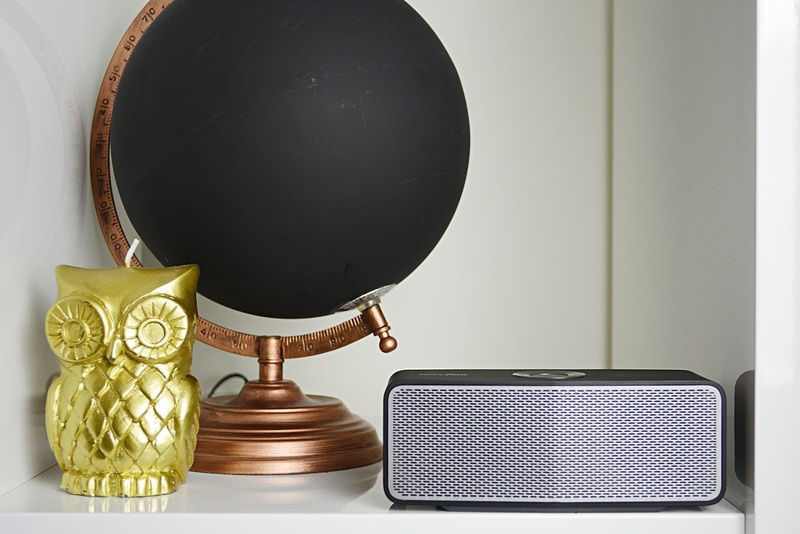 For such a little speaker you'd think it wouldn't be that powerful when it comes to sound, right? Wrong. This speaker is LOUD. I had to go outside and crank it up full blast because I didn't want the neighbours getting mad - and it was honestly loud enough to please a busy party. I've always found portable speakers to be really quiet so I was absolutely delighted to see just how loud this one can be. In terms of switching songs and turning the volume up and down, there are buttons on the speaker (as you can see in the pics above) but you can also control the speaker using your phone, which is really handy if you're lazy (and indecisive when it comes to choosing songs) like myself. I always use Spotify to listen to music so I can just swipe through the songs on my phone and they'll automatically change on the speaker. 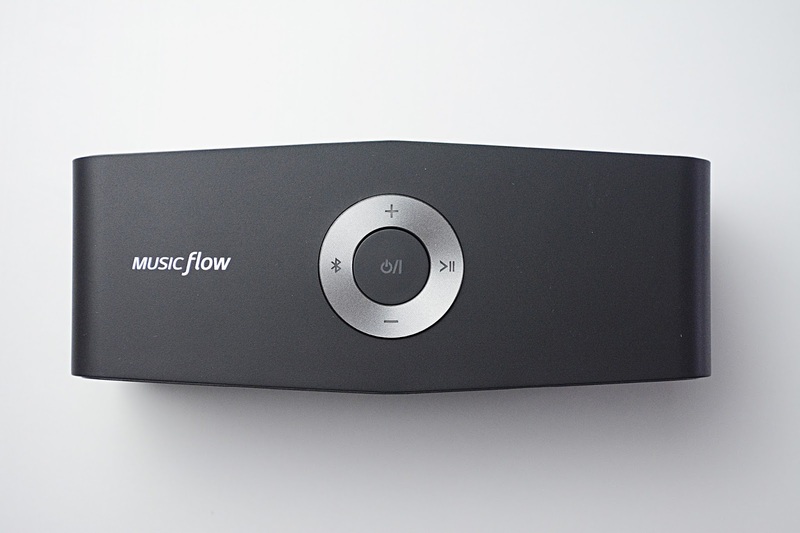 A really nifty feature which is perfect for parties is that up to three devices can be paired with the speaker at a time - so everyone's unique music tastes can be catered for. Overall I absolutely love the speaker and I think it does the job perfectly. I think £99.99 is a decent price for it too - after all it's a quality bit of kit and you can take it anywhere. One of my favourite artists to listen to on this little beauty is Ed Sheeran (this man has my heart, swoon - I'm actually listening to him on it right now) and if you enter LG's amazing competition you can be in with a chance of winning a trip to meet the beautiful man himself in Sydney (full details here). To round things off nicely I put together a little playlist of all the songs I'm currently listening to on my LG MusicFLOW. You can check it out here. What are your favourite songs at the moment? Let me know!